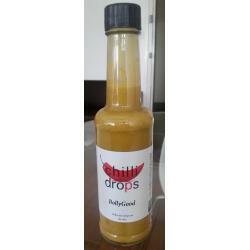 Introduced Chilli drops to international friends in Washington DC. Everyone loved them. 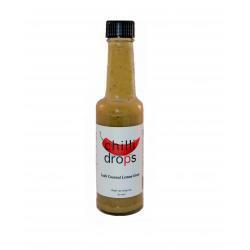 Welome to the USA Chilli Drops. Love these. 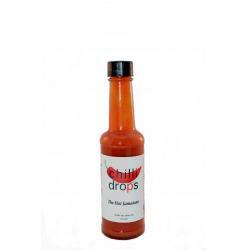 Especially the Smoky Nagra which is great with a steak or burger. Go easy with them they have a kick! Enjoy! I'm at Brixton Market, South London the first Saturday in the month. Come for a tasting and say hi...its a great place to hangout for the day. Loads of amazing food stalls...yum! 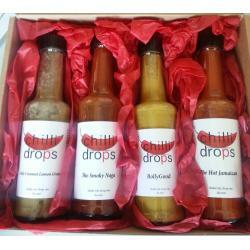 Chilli Drops are the ideal gift for serious food lovers or you could just keep them all for yourself. 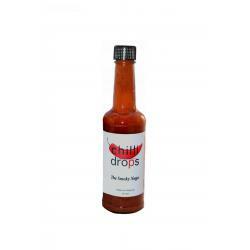 They come beautifully gift wrapped and are the perfect accompaniment for any food you choose. 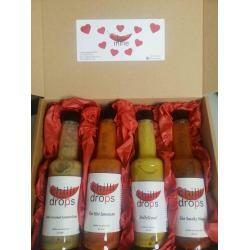 I designed the four different flavours so that you’d never be bored at mealtimes ever again! And don’t forget they don’t contain any artificial flavours, colourings or preservatives…keep it healthy, keep it British!